In order to respond to summons letter you basically need three things. Number one – Your summons and Complaint which has been served onto you by the plaintiff. This will contain all the information about the lawsuit. Who, what, how much, where, why, etc. You will have numbered allegations and the rest of information you’ll need to fill out a proper summons response. Number two – Response documents. Defendant’s response consists of several pieces of documents, such as the Answers to Complaint, Affirmative Defenses, Notice of Appearance, Certificate of Service and a few others. You need to fill out everything in a proper legal format on correct paper and follow the court’s procedure on filing it. This can be easily achieved through our site, or through hiring a legal professional. Number thee – Peace and quiet. 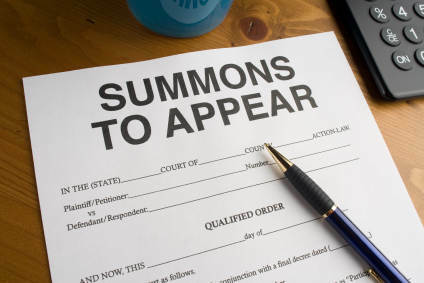 If you decide to respond to summons letter yourself, you will need about 15 to 30 minutes of uninterrupted time and a location where you can think and concentrate solely on your response. Read everything twice. Think through your answers and follow all procedures carefully. Remember, answering is not complicated, you just need to take your time and think.